Do I have time to research the residential housing market? Do I have the knowledge to integrate and understand the information available to me? Do I have the time to surf the internet for available properties only to find out that some homes are no longer available? Can I integrate the information available on real estate internet sites into useful data that will help me buy a home? Do I know what items are negotiable with new home builders and how to save money when building a new home? Do I have the expertise to negotiate on my own behalf? Do I have the ability to find a qualified home inspector and interpret the results of a home inspection? Do I have the time to research the home-loan programs available on the market? Do I have the time to interview mortgage loan officers? Do I have the time and expertise to target market the type of home I want to purchase? Do I know the zoning regulations and building codes pertaining to residential real estate in the area where I want to live? Most buyers don’t recognize the amount of time it takes for a real estate professional to find the perfect home for them because so much work goes on behind the scenes. Work that you don’t have to stress over when you have a buyer’s agent representing your best interests, and taking care of all the details all the way through closing day! Attention Buyers: DON’T BUY A HOUSE UNTIL YOU HAVE READ THIS FREE REPORT. 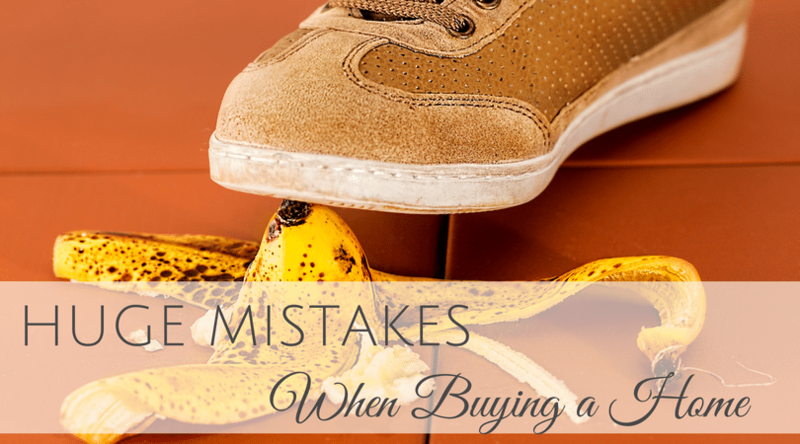 After years of seeing buyers make the same mistakes over and over again when purchasing a home, I decided to put together this report to protect my clients from these 10 common pitfalls. Not checking credit rating before making an offer. Folks this is a big one that’s why it’s #I. The mortgage business has changed dramatically over the last 3 years and lenders are very strict now they look very carefully at credit scores and credit history. In today’s mortgage market your credit rating is the key to determine if and how much you can borrow and at what cost. It’s amazing how often I hear of buyers finding issues on their credit report they weren’t aware of. I make sure all my buyers run a credit report well in advance of purchasing a home that way they have time to deal with any issues that arise and have time get their financial house in order before they apply for a mortgage. Making an offer without being pre-approved. Be sure to use a good mortgage broker, your purchase depends on it; I provide my clients a list of brokers who I’ve worked with who know their stuff. No seller in today’s market is going consider an offer that does not include a pre-approval letter. Don’t mistake pre-qualification for pre-approval, pre-qualification is a procedure where the buyer gets an opinion from a mortgage officer about how much they qualify for based on information provided by them usually over the phone without any documentation to support the information provided in other words just about anybody can be pre-qualified. It always amazes me how many buyers I come across who don’t have a realtor working exclusively for them. They wander from house to house contacting the listing realtor and expecting the listing realtor to act in their best interest. The fact is the listing agent is working for the seller and trying to get the best deal for the seller. 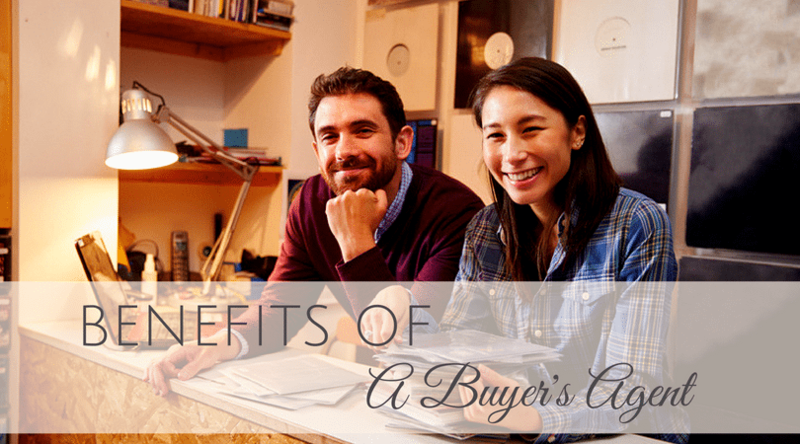 Buyers should find a realtor (like me) who they’re comfortable with and enter into an exclusive buyer agency relationship with them, after all, it doesn’t cost the buyer a cent. Let the realtor do all the legwork it will make the home buying experience much easier and less stressful. With an exclusive buyer agency relationship the buyer is entitled to special fiduciary client levels services which means you’re going to have a realtor who is acting in your best interests and who is going to be loyal to you, follow your instructions, disclose all material facts and who is dedicated to serving your needs before, during and after the sale. Making major purchases prior to closing. This happens a lot, buyers get excited about their new home and go out and make purchases for the home like furniture only to find out those purchases have disqualified them for the mortgage. I always make sure my buyers don’t do anything that could impact their credit scores because the lenders monitor your credit score until closing. So don’t change jobs, don’t buy or lease a car, don’t apply for any new credit, don’t buy that big screen T.V. or that bedroom suite you’ve had your eye on until after closing. Not knowing the total cost involved. Early in the buying process, I provide my buyers with an estimate of closing costs it’s important because this cost can be significant they can easily equal 2%-3% of the purchase price. Costs include lender fees, title company fees, there are pre-pay costs to consider such as mortgage pre-payments, taxes, insurance and HOA fees. In addition, many lenders will require you to have 3 months of mortgage payments in your savings account. Not considering the pitfalls of short sales. Oh boy, where do I start? I work with short sales but I always make sure my clients are aware of the pitfalls I wouldn’t recommend them unless you’re buying for an investment or you’re renting, you have to have to be flexible in your living arrangements because you can’t count on the closing dates. When you make an offer on a short sale you’re entering the twilight zone, the great unknown, the wild west, simply put there are few rules, no timetables and no accountability, you won’t know if or when you might close. Be sure to choose a realtor who has experience working short sales as they are completely different from a typical sale. This is especially true with short sales and foreclosures. There are a lot of people in the real estate industry who in my option are greatly exaggerating the savings to be made from short sales and foreclosures. The Truth is in the Dallas market area the sales data doesn’t support these claims, in fact in many areas inventory levels are low, sales are up and prices have moved up. The lenders aren’t stupid they didn’t get to be massive multi-billion dollar corporations by giving away tens of thousands of dollars on each house they sell. They hire realtors who advise them on market pricing and each house has an appraisal done and that’s how the lenders determine the sales price. The fact is almost all the short sales and foreclosures I’ve seen have sold at or above appraised value. Not examining the insurance claim history of a home. Ever heard of the Comprehensive Loss Underwriting Exchange better known as CLUE? Probably not but buying a home without a CLUE report can land you in deep trouble. CLUE is a database which tracks home insurance-claim histories of both properties and people and the claim information stays in the database for five years. Buyers can find themselves either denied coverage on the home they just bought or having to pay excessive premiums because the house has a poor CLUE record. Even worse you could close on your new home with an insurance certificate issued and then have the insurance denied after you close which puts you in breach of your mortgage. But wait it gets worse many insurance agents don’t do a CLUE search unless you ask! I have firsthand experience with CLUE, buyers of mine who had an accepted offer on a home (thankfully they read this report) had their insurance agent run a CLUE report and it turned up a large insurance claim that had been made three years prior. Get this the claim wasn’t due to damage to the home but was for a personal property claim. When the seller was moving their moving truck was broken into and the contents were stolen. In this case, the buyer’s insurance company agreed to ensure the home but the premium was an additional $600 more per year for the next two years luckily the seller agreed to reduce the purchase price to make up for the additional insurance cost and they closed on the house. I know it’s tempting to save money and do it yourself but is it really worth the risk missing something and having your wife tell you I told you so for the next twenty years! Seriously you should have one, make sure the home inspection company is licensed and is reputable. Many home inspectors don’t go up on roofs with a steep pitch so I always advise my buyers to have a roof inspection done because of all the wind and hail damage that’s happened over the last 3 years. This inspection is free and will point out any items that may need to be taken care of. Not getting a CMA before making an offer. I always provide my buyers with a CMA (comparative market analysis). This compares similar homes that have recently sold or are still for sale in the area. This report helps give my buyers the confidence to know that they are paying market value for their purchase. Texas is one of the few non-disclosure states which mean the sales prices of homes are not available in the public records. The only source for the sales prices a Realtor through their membership to the MLS (Multiple Listing Service) so if you’re getting sale price information from another source it may be prices based on the asking price or an estimate sales price based on some formula and these estimates are often not accurate. I hope this free report helps you avoid the 10 Deadly Mistakes Buyers make when purchasing a home. After all, finding your dream home should be a fun and exciting experience. This is just one of several high-value services I provide my clients with, if you’re interested in this level of service let’s talk. Oh, by the way…my business is built on referrals so whenever you come across people who are thinking about buying or selling a home and who would appreciate the kind of service I offer, I’d love to help them. So, as these people come to mind, just give me a call with their name and business phone number. I’ll be happy to follow up and take care of them. Next step is the home inspection. I provide my clients with two home inspectors that many of my clients have used and been pleased with; both are thorough and do a good job. Give them a call and schedule a home inspection. 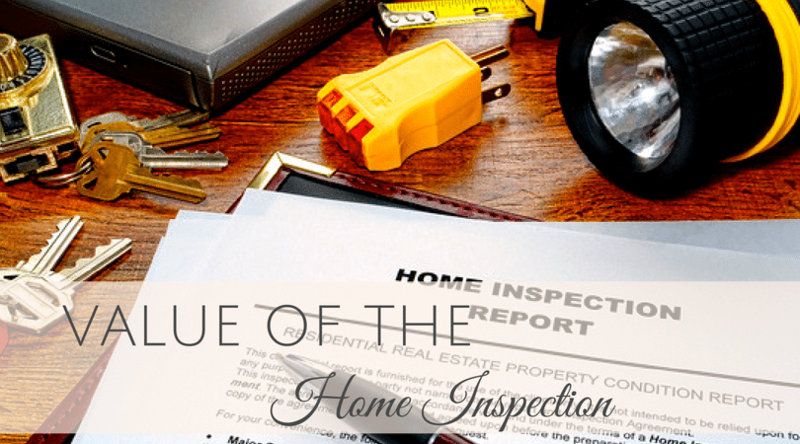 A home inspection takes about 2.5 to 3 hours the inspector will request you and I be there at the home for the last 30 minutes of the inspection so they can walk us through the house and point out items they have found. Once you have agreed on a date and time for the inspection the inspector will schedule the home inspection through the Central Scheduling Service. The purpose of the home inspection is to have a non-biased third party carefully inspect the house and provide a written home inspection report that documents the condition of the home and identifies any issues found during the inspection. The home inspection report provides you with a good overall picture of the condition of the home and we are able to use the report to request the seller to make repairs. Keep in mind the home inspector is paid to find issues and they will, usually they are minor but If major issues are found we will expect the seller to repair major issues. It’s important to remember in this market sellers are not going to repair minor issues. Any questions feel free to call me or for references and referrals on home inspections.